Beautifully ornate paisley scroll work adorns the front of this heart locket pendant necklace made in .925 sterling silver. 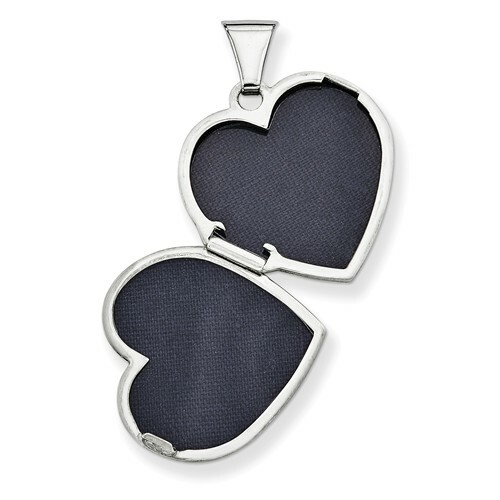 The heart locket pendant opens to hold 2 pictures: one of you and the one you love. Heart measures 24mm (1.14") x 18mm (approx. 3/4"). Bail/hoop measures 5mm x 4mm in size. 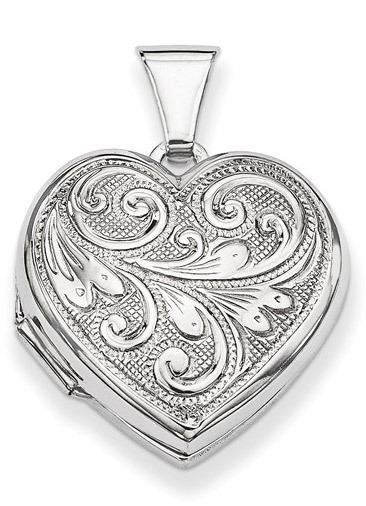 Locket is also rhodium-plated for a white, polished look. We guarantee our Paisley Scrollwork Heart Locket Pendant Necklace to be high quality, authentic jewelry, as described above.